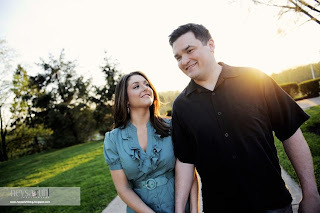 Cincy Event Planning | Cincinnati + Dayton Wedding and Event Planners: Laura + Josh = Engaged! Laura + Josh = Engaged! More amazing photography by Neysa Ruhl. I'm not a stalker, honest. But seriously how gorgeous is Laura? Maybe I'm biased because she is my cousin (well technically Kev's cousin) but wow, is she stunning in these photos. The cameo appearance is their son Alex. Such a handsome guy, he and Brady will be causing trouble in a few years I'm sure. I think the black & white image above is my favorite. You can see so much of their personalities in that photo! 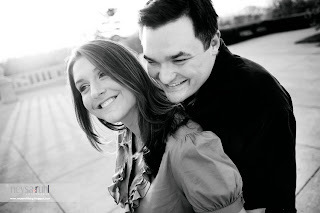 Looking forward to the October wedding at the Madison you two!